VIVID COLOR- Makes your birds happy. 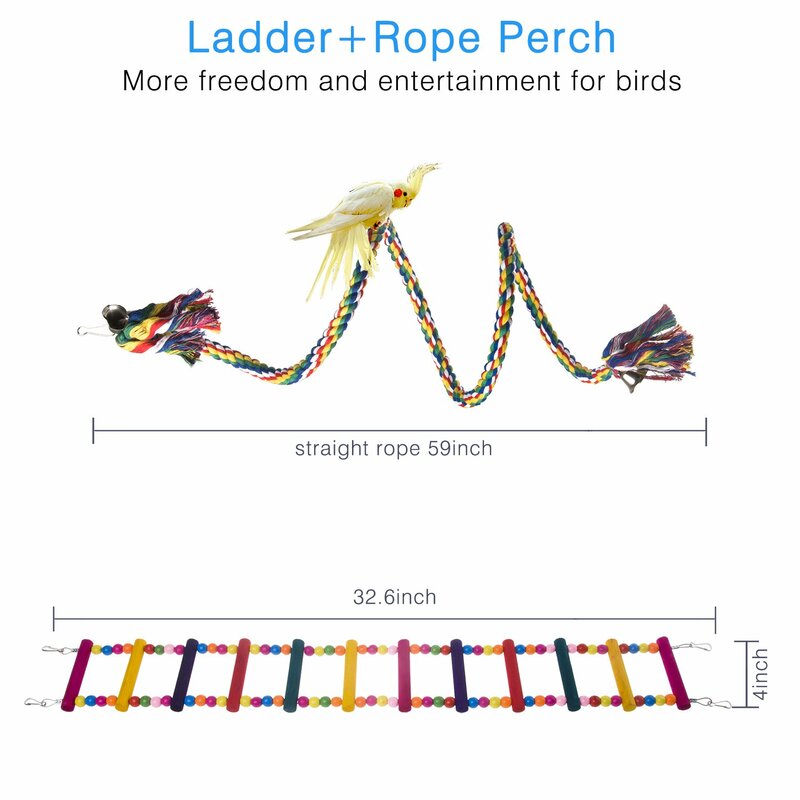 They will love to fly from ladder to rope perch(32.6" Ladder with 59" Rope Perch). Perfect decoration for your bird cage. 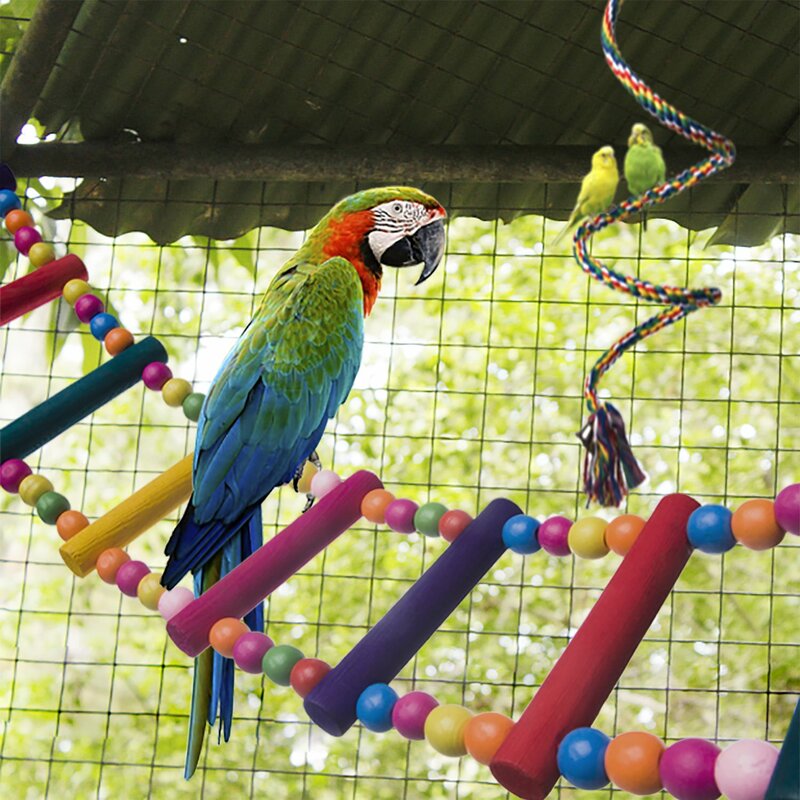 It’s easy to increase the activities of your birds. 100% NATURAL AND SAFE MATERIAL- Natural wood bird swing. 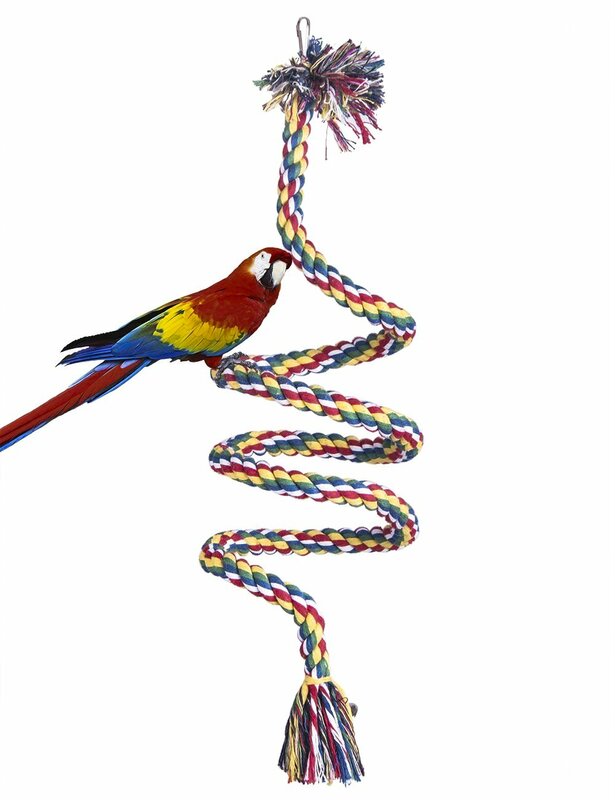 100% non-toxic soft cotton rope and inner steel wire climbing standing parrot perch. Both are colorful and safe for your lovely birds. 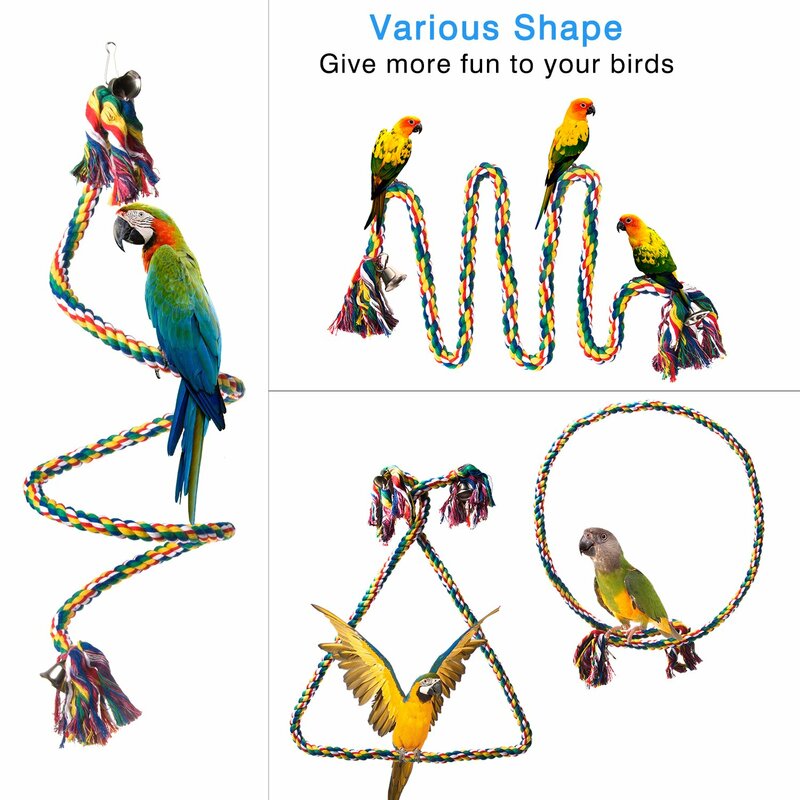 VARIOUS SHAPE ROPE PERCH-The steel wire is durable and flexible, you can bend it into square, triangle, pentagon, trapezoid, rectangular, circular etc. It makes more fun for your birds. 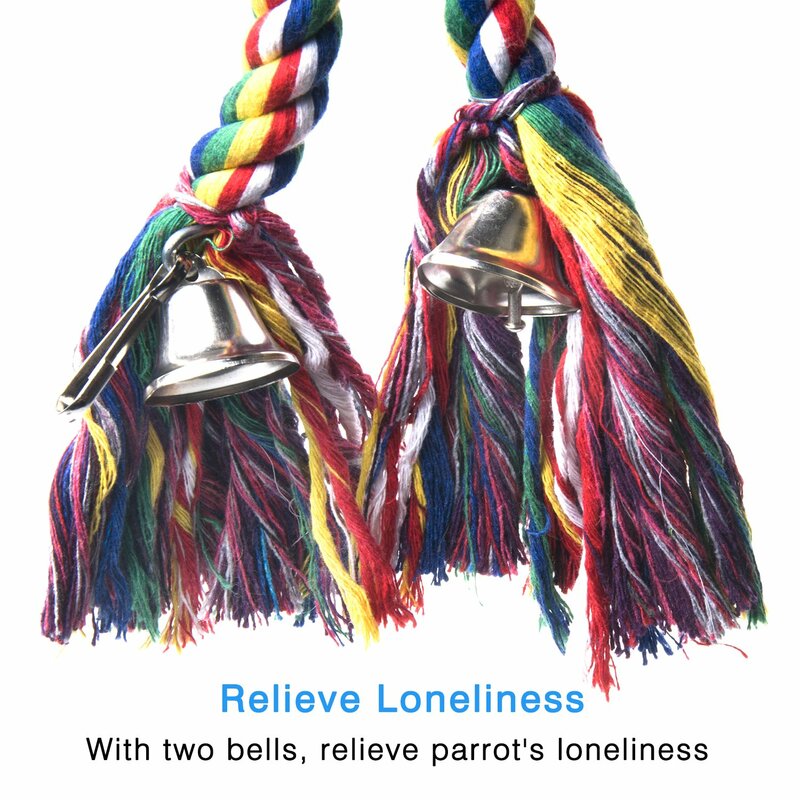 RELIEVE LONELINESS-With two bells on roper perch, it can relieve your bird’s loneliness. 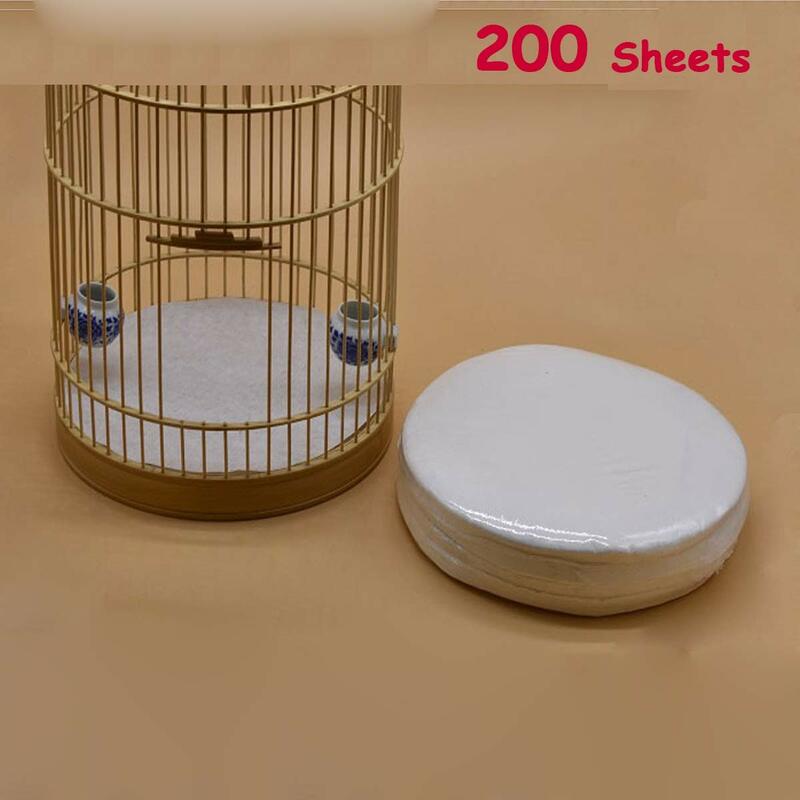 FOR ALL SMALL AND MEDIUM BIRDS -It is suitable for all small and medium birds, such as parakeets, cockatiels, conure, lovebirds, African grey and small macaw. 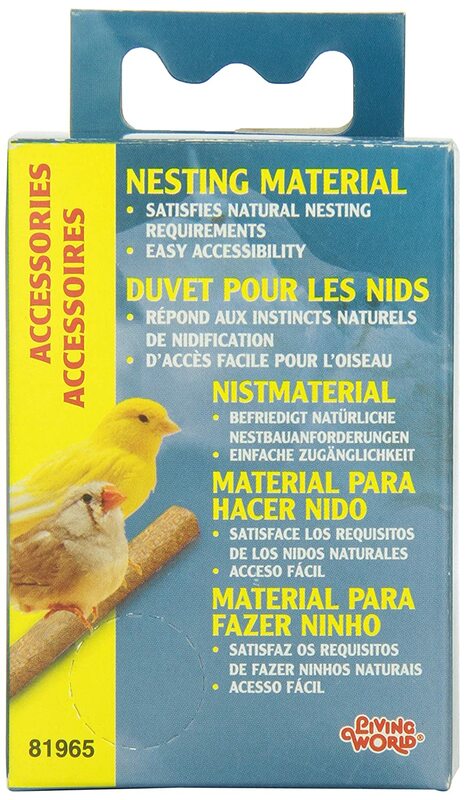 Natural material, It is 100% safe for your pet birds. Birds like bright colors. This product is made of the natural wood. Totally handmade. Exposure to water, it will fade and no harmful color fixing gel on it. 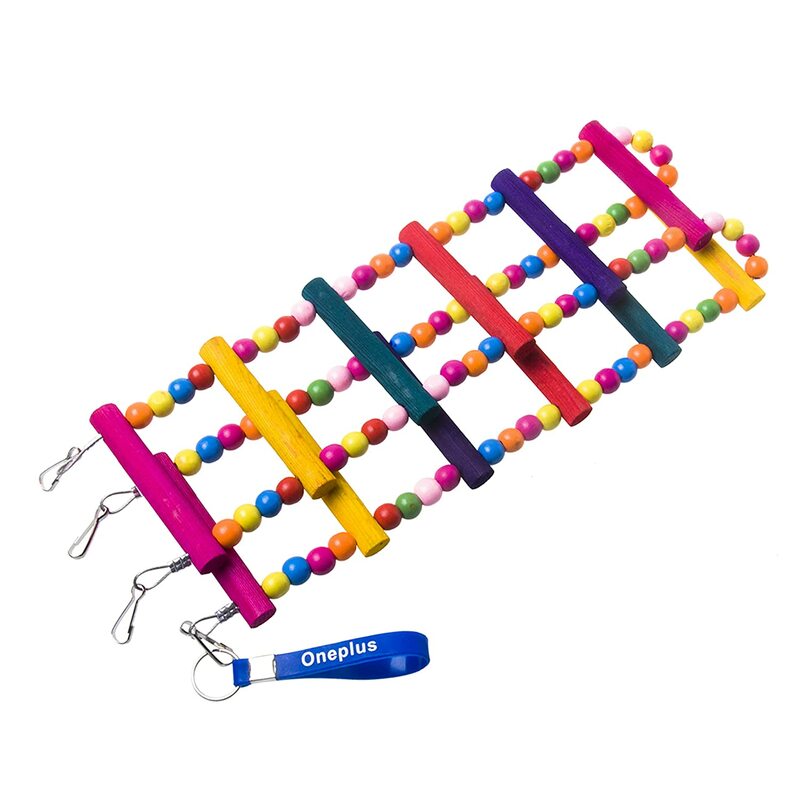 Colorful and beautiful, your pet will surely love it. The steel wire is changeable, you can bend it into square, triangle, pentagon, trapezoid, rectangular, circular etc. Easy to adjust shape you want, one day one style. It is not only a toy and perch, but also a good partner. There are two little bells at both ends. It can help to relieve their loneliness. 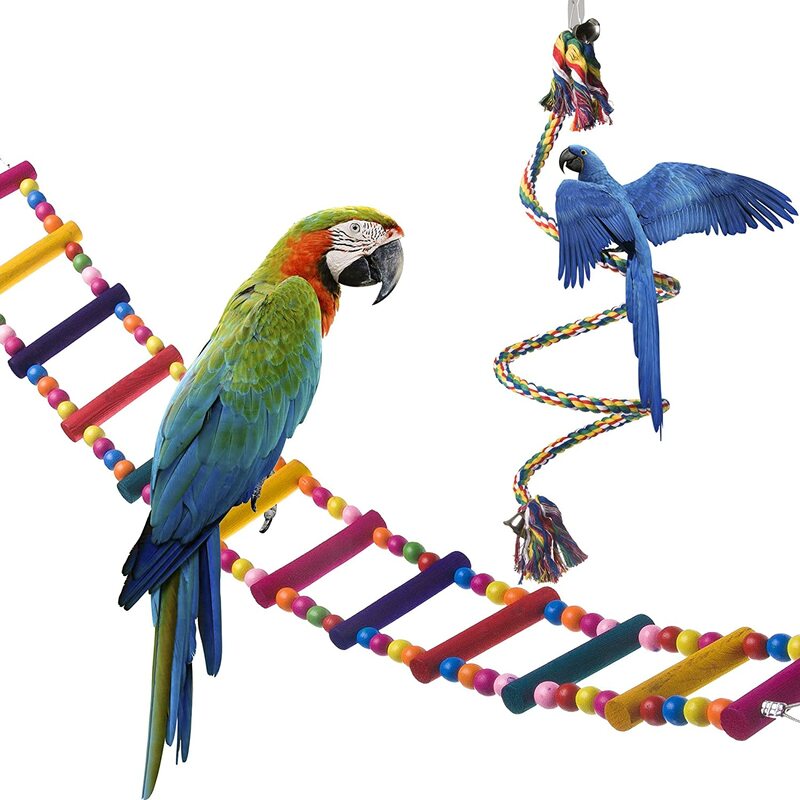 Your birds can change her perched place freely and increase her activity and entertainment. 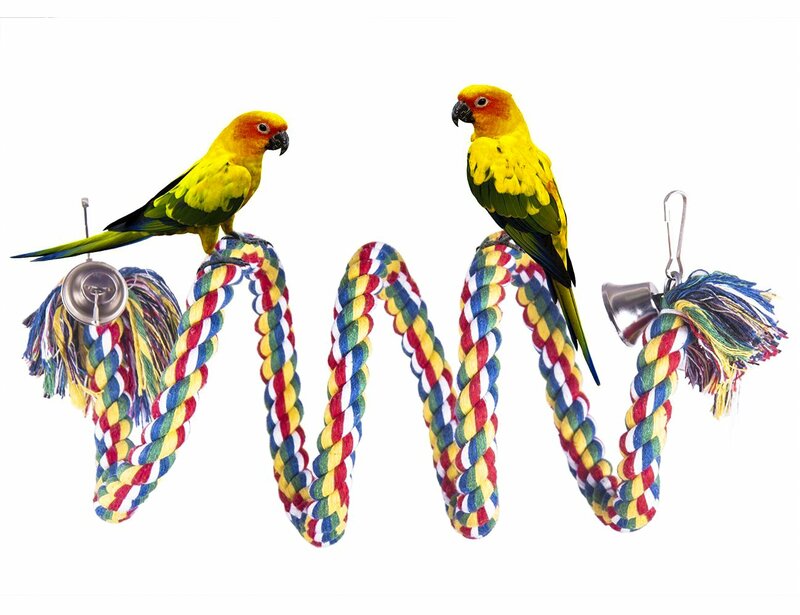 A good toy for your birds to keep in good state. 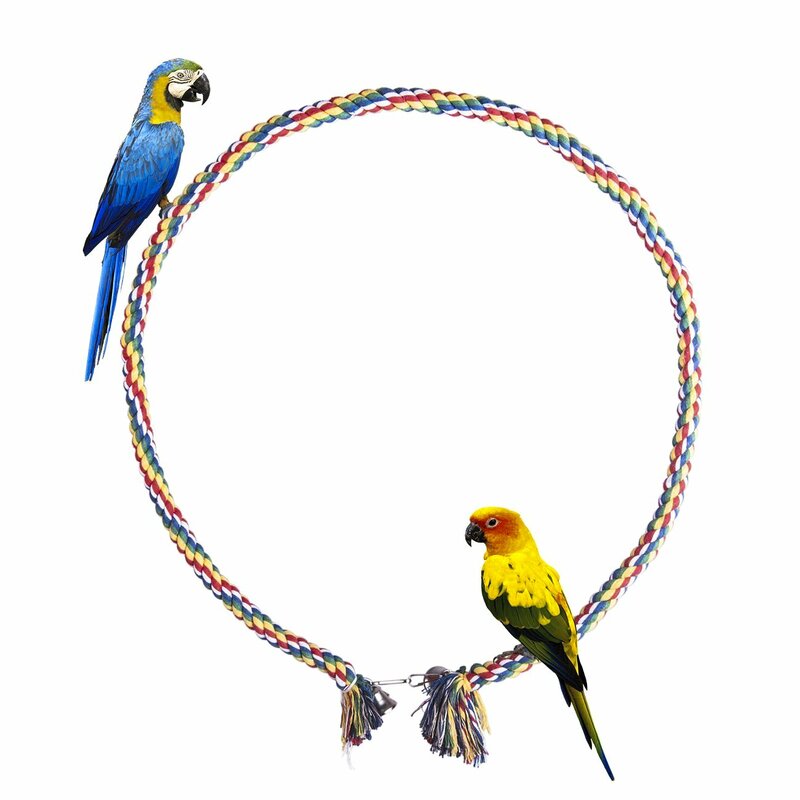 You can hang it in the birdcage, birds can climb up and down to strong its muscle, chewing it and keep its beak healthy. 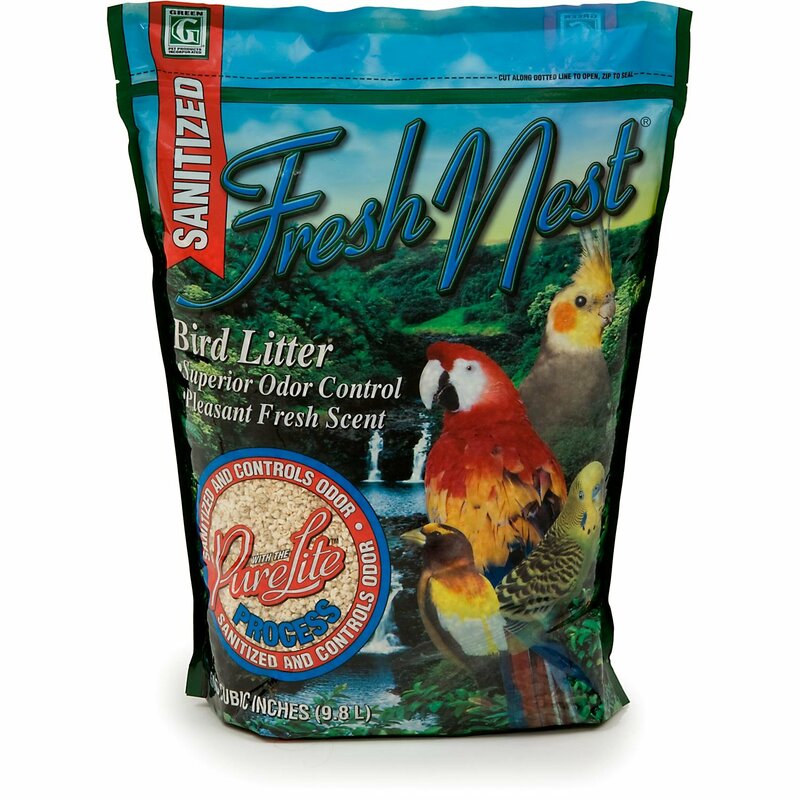 Suitable for many birds, such as parakeets, cockatiels, conure, lovebirds, African grey and small macaw etc. 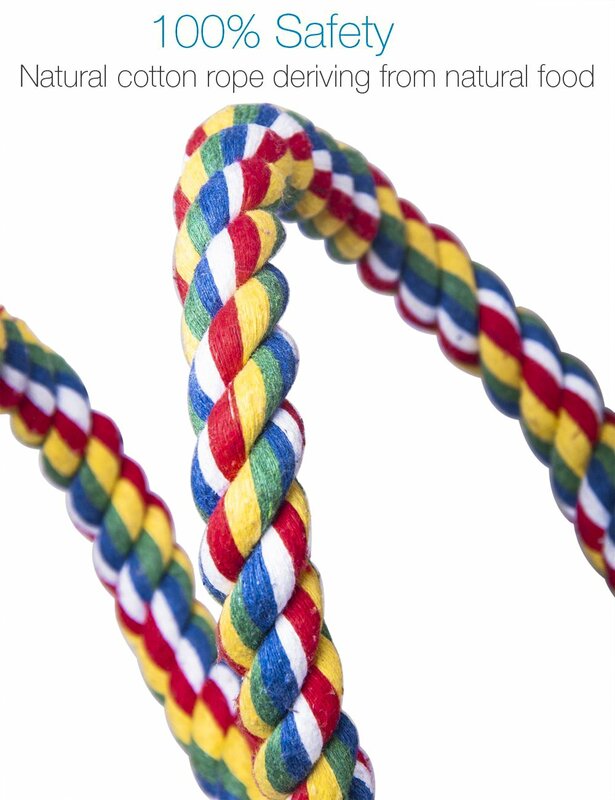 It is normally that the rope will be broken by your parrots. As the parrot is chewing bird, it has to chew to keep the length of its beak. Natural wood is not perfect, cracks or tree eyes are unavoidable. 4 metal clasps included. No harmful color gel added, it will fade while immersing into water. My macaw loves it. He climbs on it all the time and of course likes to chomp on the colorful beads. The great thing is what's holding the beads and ladder together is a nice wire. Even if he bites a bead off, the ladder won't come apart. Although there was the usual rapid demolition of the various smaller pieces, the center squares are tough enough that Leonard has been forced to use the wood chipper method of destruction on this toy..... which means that if you can't actually crack the block to the point where it will fall off the chain, you have to revert to a piece by piece attack. And, although he's made some serious inroads, there's still enough remaining after nearly three weeks that it doesn't need replacing yet! This ladder is very sturdy and of excellent quality. Our two amazons enjoyed using it as a ladder and bridge and did not seem to view it as a toy. When we got our mini macaw he had it completely destroyed within two days. 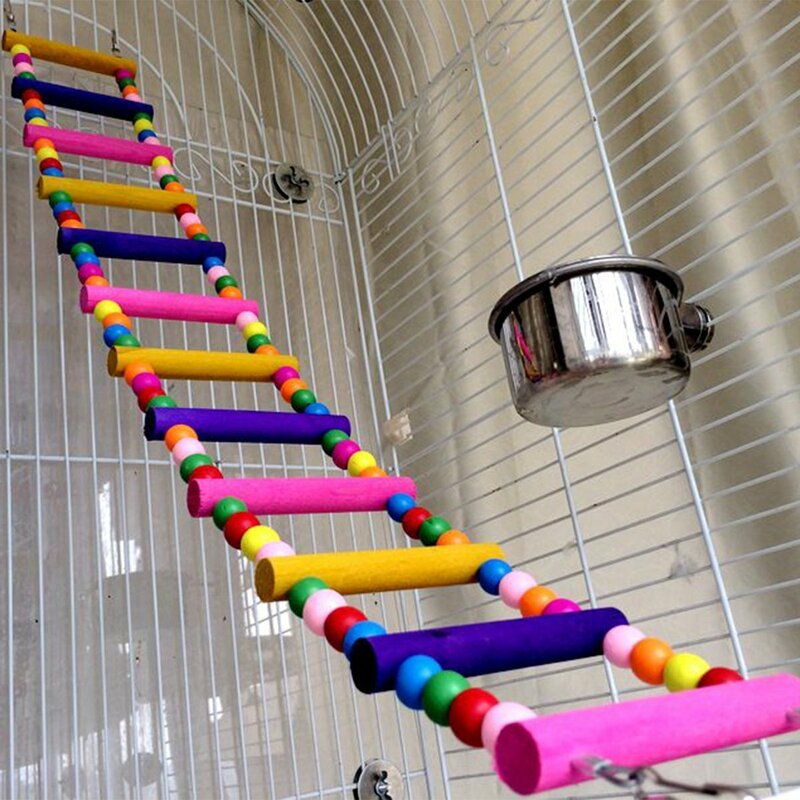 This ladder is great if you have non destructive birds but if you have a bird that likes to break beads this is not the choice for you. Once they learn they can break the wooden beads between the rungs and watch them fall and pile up on the floor the ladder is a goner. 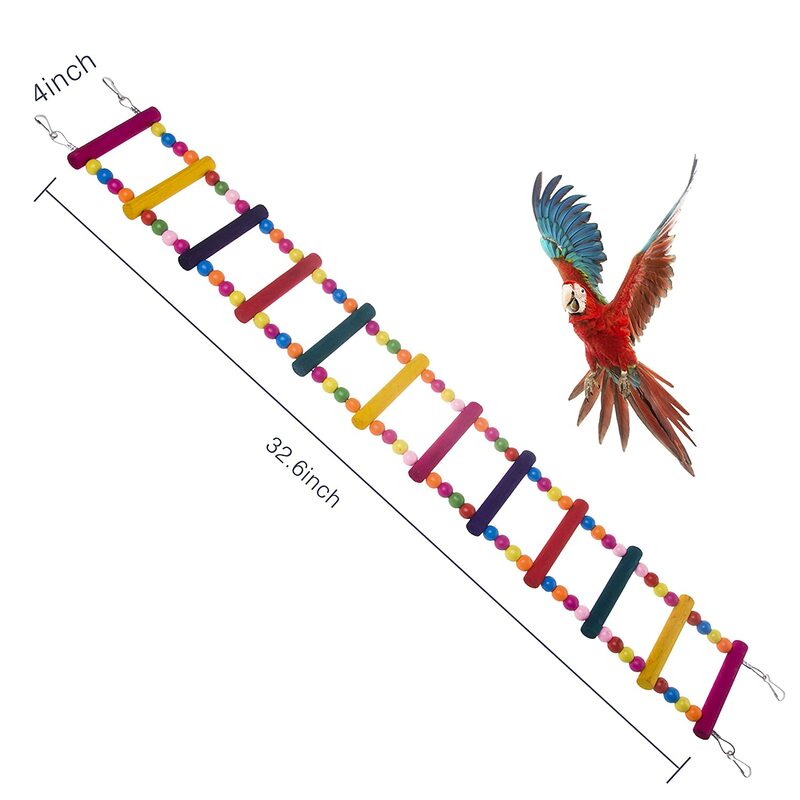 This would be perfect for amazons, parakeets, and conures if put in a area they use for function of a bridge or ladder. If you have mini macaws it will serve as a expensive toy lasting for a day. 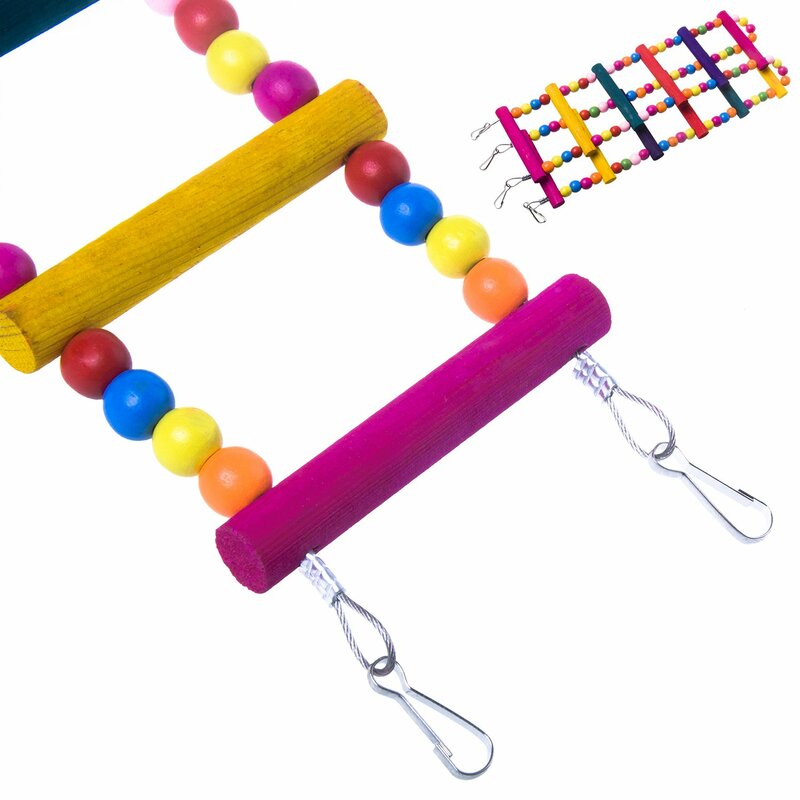 I ordered the ladder and rope boing. I have a green cheek conure, and these are perfect size for him! He took to them immediately, which is uncommon for him. Usually he is afraid of new things. I am very happy with the quality of these bird toys. I'm including pictures of him using each of the two products so you can use that for size comparison. 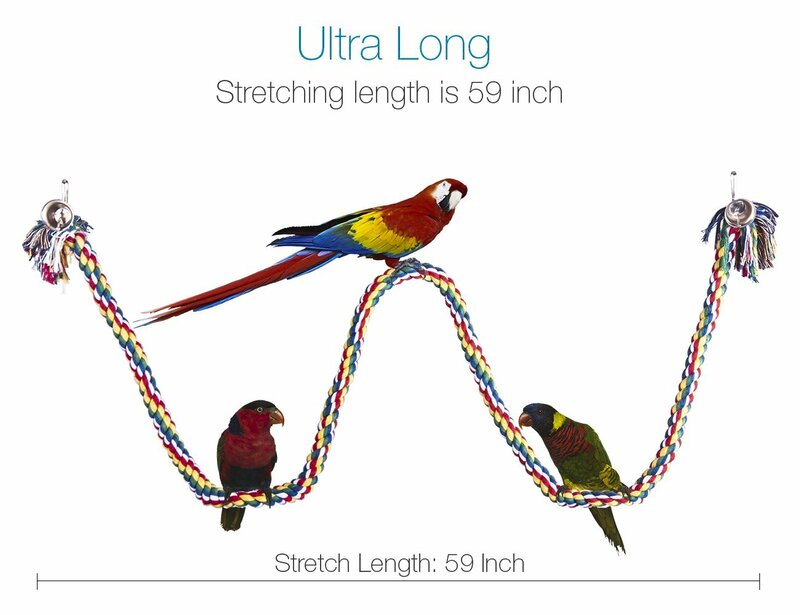 I think they're great for similar sized birds, but probably not for the bigger birds(picture shows macaws?). Anyway, I love them and so does my bird! This toy is well constructed and my umbrella cockatoo spent 4 full days breaking it down. The chain is sturdy enough as the center piece and is better for a cockatoo. 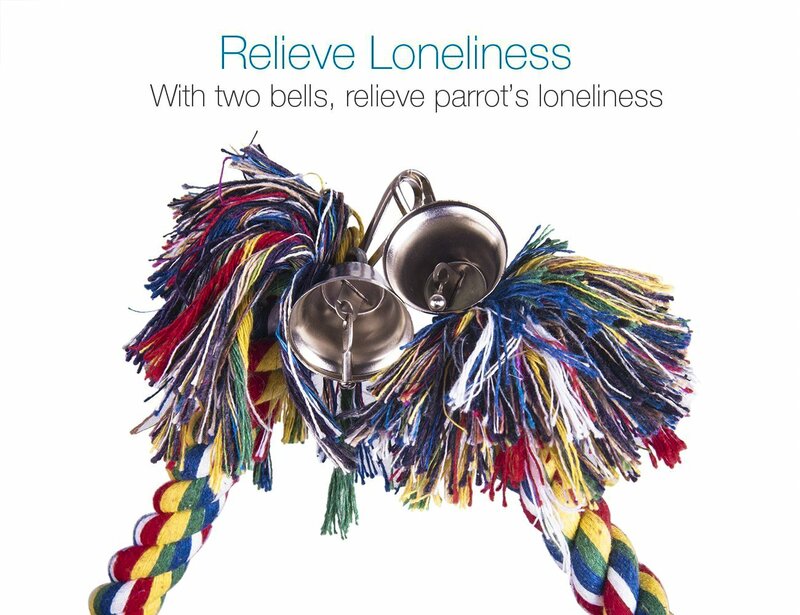 I was optimistic at the reviewers who said this lasted quite a while for their parrots. Unfortunately, my little monster, a Senegal, did major damage within minutes (less than five), and had half of it decimated within a few hours. ::sigh:: While I fully appreciate that busy beaks are happy beaks, I'd anticipated we'd have gotten at least a few days out of this. I likely won't repurchase as I need something a bit more durable. 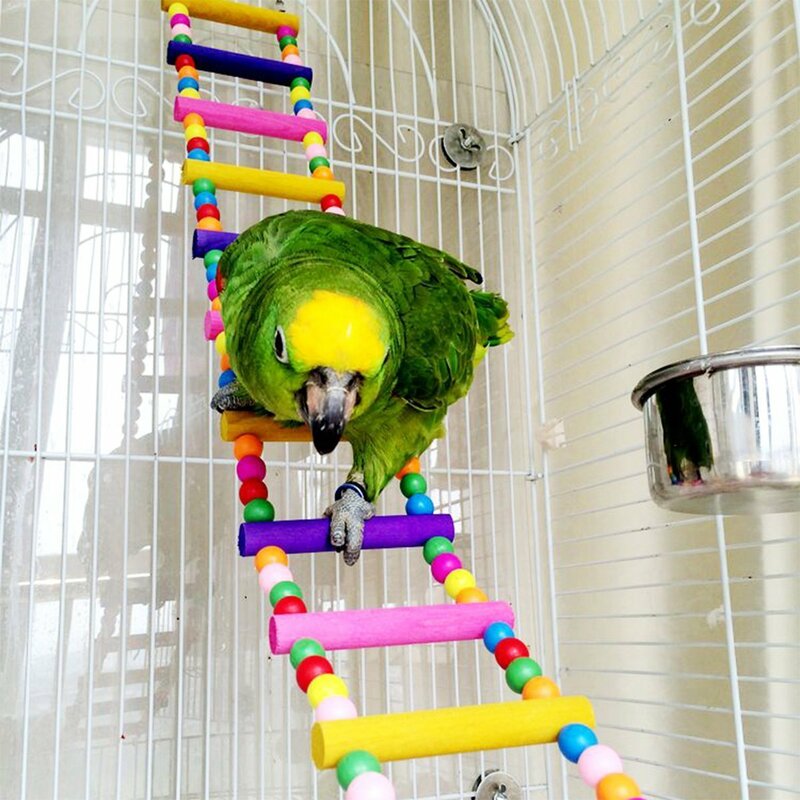 I realize that the longevity is directly related to the destructiveness of the bird, so if you have a bird that isn't out to kill every toy or challenge presented within a nanosecond, you'll likely get more mileage than I.
I have 2 lovebirds and they love this ladder! Watching them walk from one end to the other is adorable! They both love to chew and they've done their share! One managed to chew through the wood enough for the ladder to become undone but it was an easy fix by my husband :) Besides watching them walk across, I think I love the colors the best! 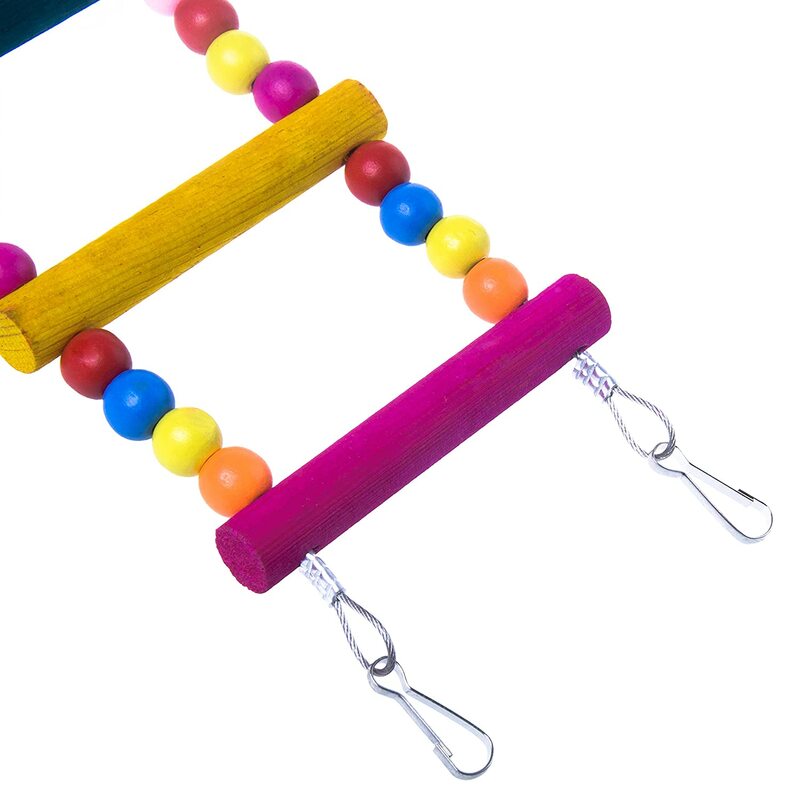 It was a great addition to another colorful hanging toy with bell they already had! Love it! I bought this for a very large bird cage that I couldn't find regular perches to fit. This was perfect because I could blend it to fit how I want it. My new baby cockatiels love it. I like them so much I ordered two more. They are very durable. And seem like they'll be easy to clean. I have more babies due in a couple days so I'm gonna need plenty of perches. And still save enough room for them to fly and play. Hooks seem plenty strong too.